Housing T3 of 40m2 at the tip of the end done again for nine, close any facilities (restaurants / bar, supermarket, tobacco, casino, laundry, sea shuttle ..). You are less than 5 minutes walk from the beaches of the tip of the tip and reside in a quiet building. 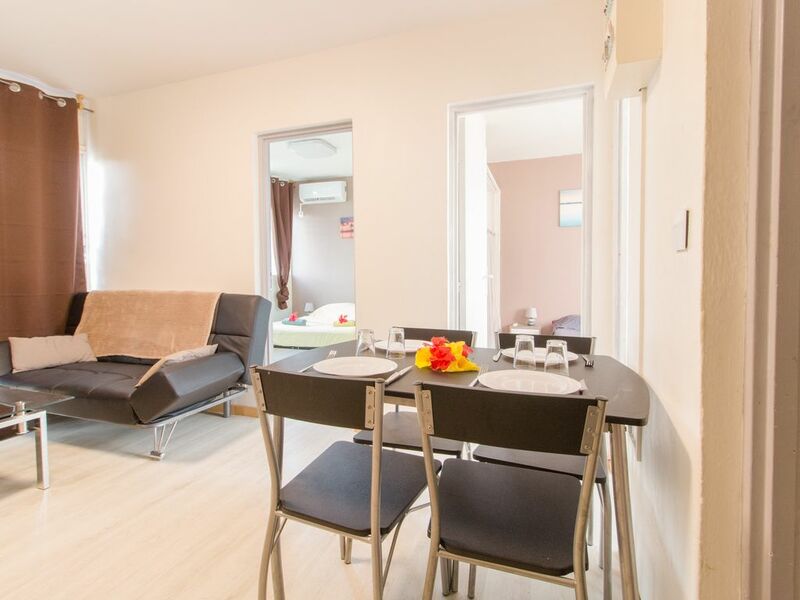 The apartment includes 2 bedrooms with dressing room and fully air-conditioned. A bathroom with walk-in shower and small kitchen. Sofa bed, coffee table and dining table. The linen is fully furnished. Degressive rates according to the duration.